[I]n the beginning of the year at the 2012 CES, I observed that the room hosted by Sutherland, Merrill-Williams, and Vandersteen sounded particularly good. The cabling in that room was by a company that was previously unknown to me, Enklein Cables. During this visit I was introduced to company president Dave Kleinbeck and it didn’t take much time at all to get to a heady conversation regarding the role of cables in a neutral system, and in particular how his designs were contributing to the overall listenability, detail, image specificity, and neutrality of the system in that room. The Enklein story is certainly an interesting one. The company was formed out of the need for improved performance from high quality studio recording gear. Their analysis concluded that external noise and interference were compromising their ability to capture the emotional content of the performances they were recording, and they endeavored to correct the problem through design of proper cables that provided an extreme level of noise reduction without damaging or altering the sound and timing of the music and recorded space. Fast forward to this past May and after a few brief email exchanges regarding silver cables and past experiences, Mr. Kleinbeck offered for review his Enklein Zephyr Interconnects and Enklein Taurus power cords. I, of course, jumped at the chance since they had already proven at CES that they were definitely of high performance. 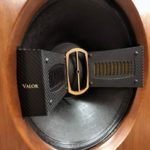 In the course of this review, you will see that a couple of months into the process, I added a set of Enklein “Titan” speaker cables to the mix, thus creating a full end-to-end Enklein-connected system. You will read much more as to why and how this further development was necessary in order to fully realize a faithful evaluation of the Enklein family of cables. As a matter of reference, for the major portion of the review period my system was configured with a Pass Labs X350.5 power amplifier, the superb Pass Labs XP-20 line stage, Zesto Audio Andros PS-1 phono stage, and Eficion F300 speakers. Cables used were TRS Audio Pure Note Designer’s Edition interconnects and speaker cables, Aural Symphonics Magic Gem v2t power cords and Telwire “Cord” power cord on the Conrad Johnson/McCormack Universal Digital player UDP-1 Deluxe. The analog source is the excellent Merrill-Williams R.E.A.L. 101 / Ortofon TA-110 Rubber Injected tonearm and Accuphase AC3 phono cartridge combination. Viewed holistically, this system provides a neutral and highly detailed workspace that would be required for evaluation of the Enklein cables. Reviewing a cable or set of cables is decidedly a tricky endeavor. After all, there is a certain amount of trial and error that goes into changing cables and evaluating the resulting changes in sound in the overall system. That is, if indeed the system even changes enough to be perceived; typically, that’s not at all an issue. 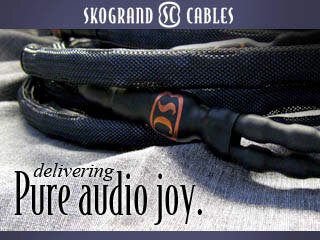 Cables generally, in fact, make a world of difference in a system and can either improve its overall performance or can also cause it to tank. In the world of high-performance audio, the latter is not generally the case but there is always that distinct possibility. My preference is to evaluate each cable independently beginning with the power cord, then interconnects, and finally speaker cables. In order to fully capture the changes wrought by each cable, I do each swap independently by re-inserting the reference cable back into the system prior to moving on to the following cable being evaluated. This method, though time-consuming, has proved to be worthwhile in the past in exposing overall differences and sonic signatures in each individual cable. I followed this methodology when reviewing other cable systems such as the Aural Symphonics cables, Telwire cables, and of course the TRS Pure Note Designer’s Edition cables. The Enklein “Taurus’ reference power cord is Enklein’s best from a lineup which includes the entry level ”Jake” and the mid-level “Big Tom.” The Taurus is constructed using 37 strands of silver plated copper in a 10 gauge bundle for the current-carrying conductors. These are coated with a thick layer of a Teflon dielectric. Terminations are also of very high quality materials sporting platinum-coated beryllium copper base metal connectors. The outer wrap is made of a solvent-resistant plastic shell and exudes both quality of construction as well as durability and purpose. Visually, the Enklein Taurus is flat and stiff without being rigid. It can be flexed and molded to whatever shape is necessary to accomplish wire routing. This is quite a contrast to the Aural Symphonics Magic Gem v2t whose girth is more akin to a pool vacuum hose than power cord. However, as I pointed out in my review, the Magic Gem v2t remained remarkably flexible for its size. I decided to start off with inserting the Enklein Taurus reference power cord to my system, specifically to the Pass Labs X350.5 power amplifier. Of course, none of the Enklein cables had been used nor broken in, so I therefore set my expectations accordingly. At first blush, when directly compared to my long time reference Aural Symphonics MagicGem v2t, I found the Enklein Taurus Reference to hold its own in the key areas where my reference cable excels, low background noise and top-to-bottom integrity; an interesting start. To hasten the pace of progress, I utilized a second system to run continuously for purposes of breaking-in two Enklein Taurus reference power cord and the balanced pair of Enklein Zephyr silver wire interconnects. I evaluated the sound of the Enklein Taurus reference power cord a week later to see how things were progressing and indeed, the sound had changed mainly in the area of bass response. While it had already seemed quite good in this area, having approximately 100 or so hours of run time proved beneficial in dramatically improving both impact and focus. This came through as improved imaging and coherence which were areas where they demonstrated a weakness right out of the box. 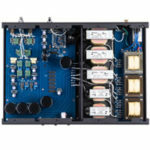 Once assured that break-in was complete, I conducted a series of listening tests with an Enklein Taurus reference power cord at the Pass Labs X350.5 power amplifier and another at the one front-end component that is most affected by power cords, the Conrad Johnson-McCormack UDP1 Deluxe universal player. The results as they relate to the Pass Labs X350.5 followed my initial impressions closely. The Enklein Taurus reference power cord provided a clean and quiet background and did not hinder image depth, width, or height. Overall, the Taurus distinguished itself from my reference MagicGem v2t in two key areas. The Taurus provided excellent quieting without the slight darkness that seemed ever-present on the Aural Symphonics. The second notable change, though slight, was an impression that the Enklein Taurus appeared to alter front-to-back image perspective. Voices, both male and female, seemed slightly forward in presentation, but without any tonal inconsistencies or added colorations. Inserting the second Enklein Taurus to my universal player yielded a clearer view of the sonic influences the power cord change imparted in my system. In the case of the McCormack/ Conrad Johnson UDP1 Deluxe, most recently I had been utilizing the superbly neutral and transparent Telwire “Cord” power cord. With respect to the Telwire Cord , it’s selection had really amounted to a compromise between the imaging prowess of the Zu Audio “Mother” MK II which it replaced and the slightly dark yet tonally rich Aural Symphonics Magic Gem v2t. Once inserted, the Enklein Taurus proved to yield significant sonic benefit to the performance of my digital player. Specifically, images seemed to become more resolute and clearer. 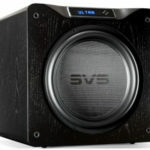 Bass clarity and impact also improved without altering the overall sonic balance and neutrality of this unit; certainly another very positive outcome. If my review were to conclude here, I would say that in the case of either inserting one or even two Enklein Taurus reference power cords to my system, the overall effects were certainly positive and I would have concluded that the change was most impactful at the system’s front-end. However, the review and story do not end here. In fact, they have barely begun. 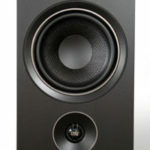 Once comfortable with the sonic signature my system had with the addition of the two Enklein Taurus reference power cords, I proceeded with inserting a 5-meter run of Enklein Zephyr Balanced interconnects. The Enklein Zephyr is the second highest model of interconnect in Enklein’s line-up of four distinct models. The Enklein line of interconnects consists of (from the bottom up), the entry level copper-based Aura, the continuous cast copper-based Prairie Fire, the solid silver conductor-based Zephyr, and the top-of-the-line Aeros which utilizes both silver and copper in its construct. The Enklein Zephyr interconnect is a flat and stiff-yet-bendable cable that is constructed with 20 gauge silver solid conductors placed parallel in an air dielectric. Zephyr has a shield network that is specifically designed to preserve the signal and protect against any AC line 60 Hz noise and any digital noise conductance. The XLR terminations utilize a unique billet brass with gold and rhodium over silver plating. These have a particularly solid feel when inserted into position. The Enklein Zephyr in particular interested me very much. As a user of silver cables from a single source for over 10 years, this is where my preferences have generally gravitated towards. Over those years, though not at all perfect, the TRS Audio Pure Note models are the sole silver cables that consistently delivered wide response and neutrality in my system that was previously anchored by full range electrostatic speakers, without the brightness and edginess that others in this category often exhibit. After roughly a 120-hour break-in period, I had my first listening session with the Zephyr balanced cables in place. I first started with some new vinyl that I had just purchased and wasn’t at all happy with what I was hearing. So I moved on to more familiar recordings, which proved useful but also raised additional questions. My initial impression of the Zephyr interconnect was indeed a mixed one. Low frequency weight was excellent, though not quite as impactful as my standard-bearer TRS cable. On acoustic works, I found that the forward quality that I had noted with the Enklein Taurus power cord had increased in severity and gave the impression of loss in image depth and movement of the overall image forward of the speakers. Since this can easily be due to insufficient break-in, I decided to continue the break-in process of these cables and double down on the 120 hours. This is not at all atypical for silver cables. In fact, as I noted previously in my review of the Pure Note cables, their cables have always required substantially long run in times into the hundreds of hours. Anecdotally, I have heard the same of a few other well-regarded cables, so I had no reason to question the results at this point in the process.